Reports that he has early-stage prostate cancer (WSJ). Harry Reid Wants Vegas Newspaper Out of Business! Read Frederick’s full column and response to the incident here. In last week’s Freedom Minute, CFIF’s Renee Giachino reads several provisions in H.R. 3200, the House health care reform bill, and asks you to decide whether it’s the right prescription for America. Congress’ popularity has been in the dump for some time now. That’s why it’s not surprising that a large majority of voters believe that the entire Congress should be thrown out of office and that we should start anew. 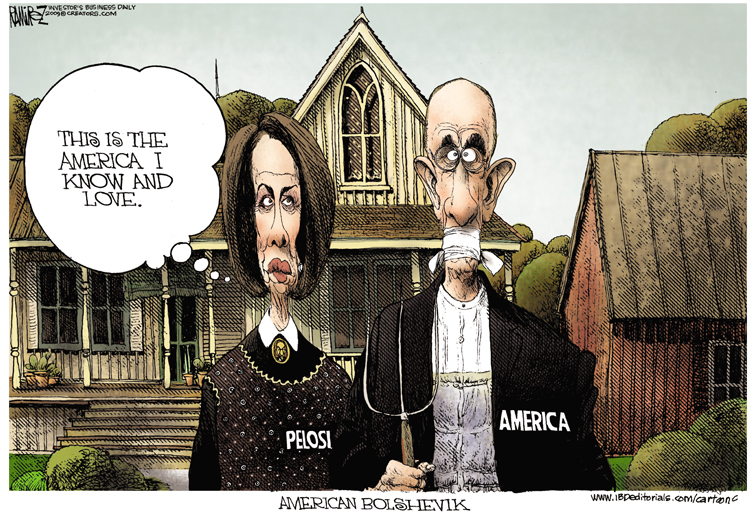 According to a new Rasmussen Reports national telephone survey, “57% [of U.S. voters] would vote to replace the entire Congress and start all over again.” A mere one in four voters, or 25%, would vote to keep the current Congress. 18% are unsure what they would do. 70% of voters unaffiliated with either major political party would vote to replace ALL members of the House and Senate. A mere 14% of voters give the current Congress a “good” or “excellent” rating for performance. 74% of voters trust their own economic judgement over that of Congress. 75% of voters say Members of Congress are more interested in their own careers than helping the people they are supposed to represent. Professor Donald Boudreaux writing for Cafe Hayek. Cato Institute – The Government Can! John Stossel – Government Knows Best? We have too many other things on our plate. The news spread quickly throughout the policy community yesterday. And despite some having done so already, it is way too premature to start claiming victory on this issue. Make no mistake… Card Check will rear its ugly head once again. Despite the departure of many high-profile advertisers and the constant attacks by the Left, the number of viewers who watch Glenn Beck’s 5 pm television show on Fox News has skyrocketed. In fact, on Wednesday night alone, Beck’s viewership topped more than 3 million people. To put that into perspective, CNN’s Situation Room was the second most watched cable news show during the same pre-prime time time slot that evening with a mere 688,000 viewers. And, Beck had nearly three times the number of viewers in the 5 pm slot than their beloved Keith Olbermann, whose show airs on MSNBC during the prime 8 pm time slot. Perhaps the far Left should be asking themselves who in fact is really out of touch with the American people. Cafe Hayek – Bernanke the Savior? The Almanac of American Politics arrived at our offices today, and with it, a handy little chart on page 1699. The typical refrain is that the GOP is the party of big-money country club types and Democrats are the party of the little-guy. As stereotpyical as these labels might be, numbers from the 2008 election tell a strange story. The Almanac broke down the zip codes in the U.S. by total amount of political contributions. For example, zip code 10021, which resides in the upper-east side in New York City, contributed over $21 million during the 2007-08 cycle. Of that amount, over 72% went to Democrats. This was a typical refrain from the chart. The six most prolific donor zip codes during the last cycle were all from New York City and all gave big money to Democrats, a total of over $44 million. That’s $44 million from literally a few square miles on Manhattan Island. Of the 25 most prolific zip codes, only 3 favored Republicans over Democrats. More proof of the drastic change in certain demographic groups toward the Democratic Party is evidenced in recent election data. According to the Almanac, President Obama won 52% of the vote for those reporting income over $200,000 in 2008, even though the President promised to raise income taxes for anyone making over $250,000. To put that figure in perspective, John Kerry, the 2004 Democratic nominee, received only 35% of the vote for individuals reporting over $200,000 in income. This 18% jump in high-earners and a massive amount of cash from New York City and California helped propel President Obama to the White House. Why is medical malpractice reform not in the health care reform bills making their way through Congress? That’s a question many of us have been asking for months. We now have the answer, care of Howard Dean and Congressman Jim Moran. This is the answer from a doctor and a politician. … Here’s why tort reform is not in the bill. When you go to pass a really enormous bill like that, the more stuff you put in it the more enemies you make. Right. And the reason why tort reform is not in the bill is because the people who wrote it did not want to take on the trial lawyers in addition to everybody else… And that is the plain and simple truth. In other words, President Obama and Congressional Democrats have no problem taking on the American people — the majority of whom are opposed to ObamaCare — but they wouldn’t dare take on their well-funded buddies in the trial bar. Cato Institute – Is $19,000 Per Student Enough? There has been a lot of talk in the media (here, here and here) about how Herbert Hoover was a great miser and should have spent his way out of the economic downturn like Obama is attempting to do. The myth might be as old as Hoover’s administration: Hoover was a free-market Republican who let Americans suffer instead of attempting government intervention. False. It’s hard to believe that a quick search through our own budget data proves that Hoover was more of Keynesian, someone who spent plenty and raised taxes in his vain attempt to “prime” the U.S. economy toward a resurgence. Reviewing budget numbers from the White House’s own budget, we see that Hoover drastically increased the size and scope of government. When Hoover arrived in the White House in 1929, he inherited a surplus of $734 million (back when that was real money). After he left in 1933, the surplus turned into a $2.6 billion deficit. Of course, some of this decline was due to lower revenues as a result of the depression, but looking at the outlays during his tenure and you’ll see a massive increase in the size of the federal budget, partly with the help of a Republican Congress as well. From 1929 to 1933, Hoover increased federal outlays from $3.1 billion to approximately $4.6 billion, a 48% increase. From 1931 to 1932, outlays surged 30%. Yes, Hoover was a real miser, a free-market fiend who hated spending the money of hard-working taxpayers. To put Hoover’s 48% increase in perspective, progressives often assailed President Bush as a free-market disciple who refused to spend money on levies, the poor, or the uninsured. During Bush’s tenure, estimated federal outlays surged 57%, even more than Hoover and LBJ’s Great Society (approximately 50%). So, the next time you hear someone say that a runaway free-market caused the Great Depression and our current crisis, just remind them that Bush made LBJ look like Uncle Scrooge and Hoover drove federal expenditures faster than President Clinton. Old rumors die slowly but this is one that needs to end now before we continue to perpetuate even more big-spending government boondoggles. Perhaps that’s because there is absolutely no correlation between spending more money on public education and output. The public school system, like any other monopoly, operates at a high cost and typically produces mediocre results. Regardless of one’s political affiliation or ideology, today’s news of Senator Edward M. Kennedy’s passing is upsetting. Kennedy, an unapologetic liberal — indeed, an icon on the Left –served more than 40 years in the United States Senate and was a fearsome advocate for the causes he took on. Indeed, in the heat of more than a few legislative battles over the years, many in the center-right community found themselves cursing his name, while at the same time wishing he played for our team. He assaulted our causes and nominees with vigor and rancor. Still, in his day he was a powerful orator — and historians will mark his speech to the 1980 Democratic convention as a high water mark and example. To his supporters, I simply give them his words, and leave the rest to historians: ‘For all those whose cares have been our concern, the work goes on, the cause endures, the hope still lives, and the dream shall never die.’ To the American Left, he was their lion. To the American conservative movement, he was our bane. But today, we put the politics aside and wish him and his family God’s peace. R.I.P. 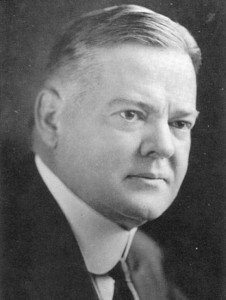 Senator Edward M. Kennedy. Politico – Doubts on Giuliani Bid for NY Gov.